Ophthalmology is a unique field in that most of the time, you can look into a patient’s eye and make the diagnosis right then and there. Tumors of the eye are rare, but they need to be taken care of. There are few doctors with the training and experience to diagnose and treat this condition. It’s an opportunity for me to help. Jack Cohen, F.A.C.S., M.D., is a nationally recognized expert in the medical and surgical treatment of vitreoretinal disease and injury. He has special interest in treating macular degeneration, diabetic retinopathy, and retinopathy of prematurity. What’s more, Dr. Cohen is one of only a handful of retina specialists in the United States who has expertise in ocular oncology. In addition to his busy medical practice with Illinois Retina Associates, Dr. Cohen is Residency Program Director for the Department of Ophthalmology at Rush University Medical Center, where he also serves as Director of Ocular Oncology and as Associate Professor of Ophthalmology. He has been with Illinois Retina since 1996. Born and raised in the Chicago area, Dr. Cohen earned a bachelor’s degree in biology from the University of Illinois in Champaign-Urbana and his medical degree from Rush Medical College in Chicago, where he was named valedictorian of his graduating class. Dr. Cohen performed an ophthalmology residency at Rush University Medical Center and went on to complete a fellowship in ocular oncology at the University of California, San Francisco, and a fellowship in vitreoretinal surgery at Rush and Ingalls Memorial Hospital in Harvey. He is certified by the American Board of Ophthalmology and is a fellow of the American College of Surgeons. Dr. Cohen’s wide-ranging expertise in retinal care has also proven invaluable in the area of clinical research. He has participated in a number of major clinical trials related to age-related macular degeneration, diabetic retinopathy and retinopathy of prematurity. Dr. Cohen is also a busy writer and lecturer. He has authored numerous articles for leadingscientific journals and has made dozens of presentations to his peers, fellows and residents. 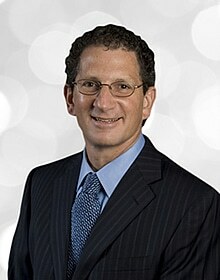 Dr. Cohen holds memberships in many professional organizations , and has achieved numerous awards and honors, including the Achievement Award from the American Academy of Ophthalmology, the Teacher of the Year Award from the Chicago Ophthalmic Society and the Golden Apple Award from the Department of Ophthalmology from Rush University Medical Center. Dr. Cohen is on staff at several area hospitals and sees patients at Illinois Retina’s Rush, Skokie, Libertyville and Harvey office locations. When he’s not seeing patients, Dr. Cohen and his wife enjoy spending time with their family and are very involved in their children’s education, activities and athletics. An avid runner, Dr. Cohen also enjoys playing in a men’s basketball league.